John Jarratt will star in the Wolf Creek TV series. While not exactly film news, the Cinema Australia team though this one was worth sharing. Production has begun in South Australia on the Stan Original series Wolf Creek, injecting millions of dollars into the State’s economy. Production is expected to create employment for in excess of 100 local crew and cast. Filming will take place in several locations throughout the state and showcase the stunning landscapes of South Australia. The state-of-the-art Adelaide Studios are being used for further filming on purpose built sets in the Sound Stages, post-production, sound and picture editing. Commissioned by streaming service Stan, Wolf Creek is a Screentime (a Banijay Group company) production, in association with Emu Creek Pictures, and financed with the assistance of Screen Australia and the South Australian Film Corporation. The television adaptation has been written by Peter Gawler and Felicity Packard and will be directed by Tony Tilse and Wolf Creek creator Greg McLean. The producers are Peter Gawler and Elisa Argenzio with Greg Haddrick, Greg McLean, Jo Rooney, Andy Ryan, Nick Forward and Rob Gibson serving as Executive Producers. 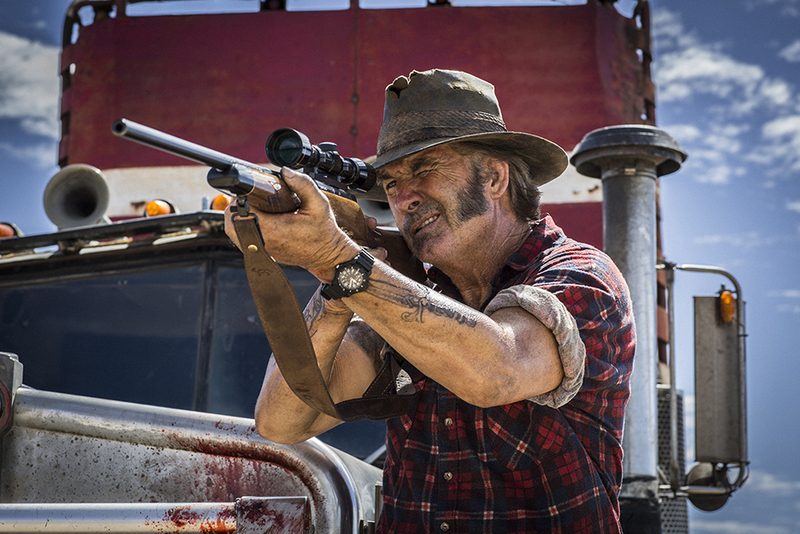 The six part drama series sees John Jarratt return as iconic villain Mick Taylor and audiences can expect to see a new take on the Wolf Creek legend. South Australian Minister for the Arts, Jack Snelling, said he was delighted to have secured local production for Wolf Creek with the successful feature films also both shot in South Australia. “South Australia has outstanding locations, talented cast and crew and a government committed to supporting local production and creating jobs in the local screen production industry, said Minister Snelling. Wolf Creek is one of a number of current screen projects supported by SAFC in various stages of production in South Australia this year, including five features films, five documentaries, and two digital media projects. A recent Deloitte’s Report commissioned by the South Australian Film Corporation showed that the State’s screen industry contributed $77.2 million to the state’s economy in 2013/14 and supported full-time employment for 754. South Australian Film Corporation CEO Annabelle Sheehan said production of high-end television drama in South Australia demonstrates the capacity and ability of the state to be a key player in the national television industry and confirms its place as a production destination. “South Australia has had some recent notable national TV production successes including Anzac Girls, Deadline Gallipoli and Sam Fox Extreme Adventures, said Ms Sheehan. “Wolf Creek will again showcase South Australia’s capacity both on and off screen, from first-rate technical and creative work to adaptable and dramatic landscapes. Wolf Creek provides South Australian production crews and creative personnel with a major opportunity to showcase their skills and gain credits. The series will premiere exclusively on Stan in 2016.